Rikesh Chauhan (RKZ – pronounced Ricks) is a musician, photographer and creative. In this Q&A, he discusses his experience working in social media, freelancing, plus tips for getting into the creative industry. 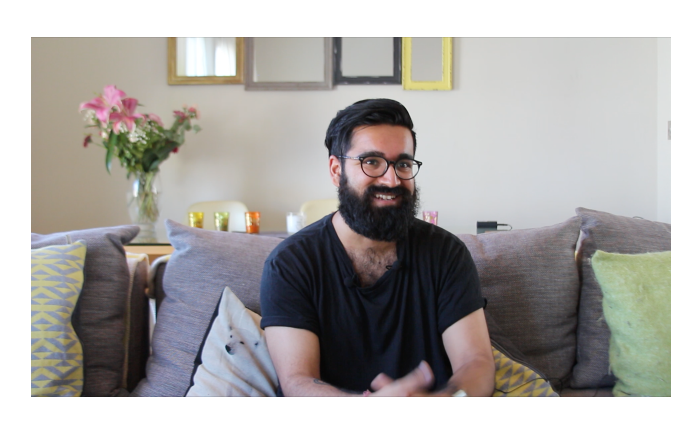 After leaving university, Rikesh spent his first couple of years as a freelance creative. What was your experience of freelancing? Why did you eventually switch to full-time employment? ‘I would recommend freelancing, but only once you have some experience. It’s hard to balance between the quiet times and when you have lots of work on. And that makes it difficult to do forward planning and budget for money coming in. What’s your top tip for freelancers? ‘Control your finances. I didn’t get financial advice, but I wish I had. I would probably have made a lot more money! Talk to someone who has done freelancing, who knows about self-assessment tax. What did you most enjoy about your job as a creative in social media? What are the toughest parts? ‘Time management is one of the biggest problems for creatives – you’re juggling many different clients with their own priorities. What are your recommendations for getting into the creative industry? ‘Networking has been my whole reason for being able to do anything. One of the best thing about my uni course was it was run by musicians.’ (Commercial Music, Westminster University) ‘There was a second game plan – yes educate, learn things, but also make friends with the tutors, because they’re going to come in handy. That proved really fruitful, and I’m still in touch with a lot of my tutors when it comes to music advice…that’s been so helpful. And working in social media, you retain and acquire new clients through networking. Especially in a digital age, people like the human touch, they want to get involved with people face to face – I think that’s massively important for this generation. You have to network. ‘Be proactive, use every opportunity. It’s hard to stand out in a saturated market, but quality speaks for itself. ‘It’s easy to beat yourself up if you didn’t get a job, or produced work that wasn’t great. A bit of self-pity is fine, but then you have to let it go, and focus on the next thing and get the ball rolling again. And finally, what would you say to new graduates about to embark on this journey? Having studied Commercial Music at Westminster University, the multi-talented Rikesh has since branched out into other creative fields, including writing, filming videos, photography and most recently, men’s fashion design. Collaborating with prominent designer Saran Kohli, they have designed a collection of suits that bridge the gap between East and West (Indian fabrics meet Savile Row tailoring). Their first creation was featured in Esquire’s Best Street Style from London Fashion Week! So watch this space!